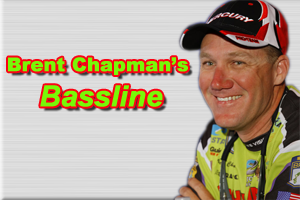 Chapman: Post Florida, Turkeys and fish eyes! This is the time of the year when schooling fish can really come into play. 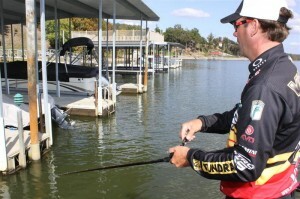 Whether you are a tournament angler or one on the lake for a fun day of fishing, schooling fish can really add a lot of excitement to anyone’s day on the water. While they can add worlds of excitement, they can also really let you down when it comes to a tournament. 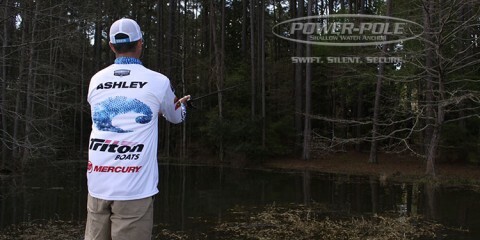 Hot one minute, gone the next; pop up within casting distance of the boat, disappear, then surface 500 yards away. 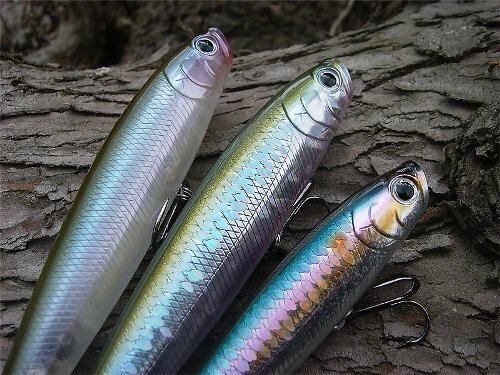 They can also be so overly focused on the baitfish they are targeting, that anything other than the real thing will often go untouched. 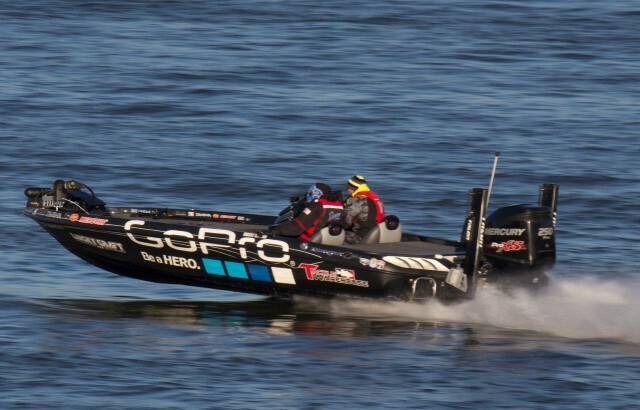 Brent Ehrler, a Bassmaster Elite Series pro from Huntington Beach, Calif. knows the pitfalls of the pelagic feeders, but he also knows how beneficial they can be. In order to capitalize on the opportunity they provide without suffering the burn associated with them, he has developed a strategy. His approach is to feed when their offering, but not go hungry when they are less than generous. However, he is always prepared for the opportunity. Without a doubt, topwater and very shallow offerings are the best when it comes to targeting schooling fish. 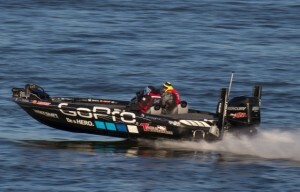 Ehrler chooses lures that he can move very quickly so he can trigger a reaction from the frenzied bass. 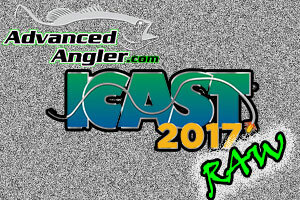 His first choice is a Lucky Craft Gunfish topwater and his additional offering is a Gary Yamamoto Custom Baits D Shad soft jerkbait. 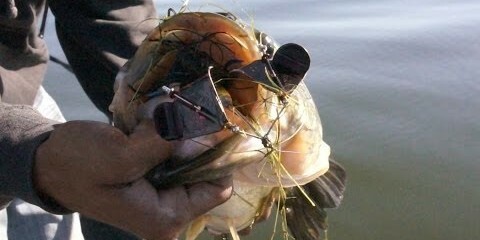 He ties his Gunfish to different rods depending on the size of the bait. For the Gunfish 95, his choice is a 7’ medium-light Daiwa Tatula rod. For the 115, he uses a medium action version of the same models to handle the slightly heavier weigh. 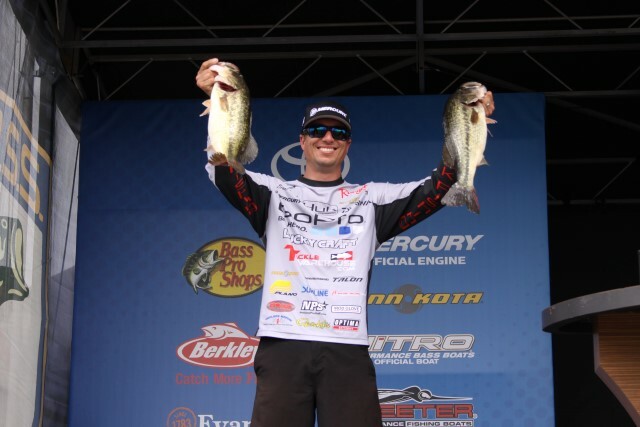 He pairs both rods with Daiwa’s 6.3:1 Tatula Type-HD reel spooled with 30-pound-test Sunline FX-2 braid and a short, two foot section of 17 to 19-pound Sunline Defier Armilo monofilament for shock absorption. 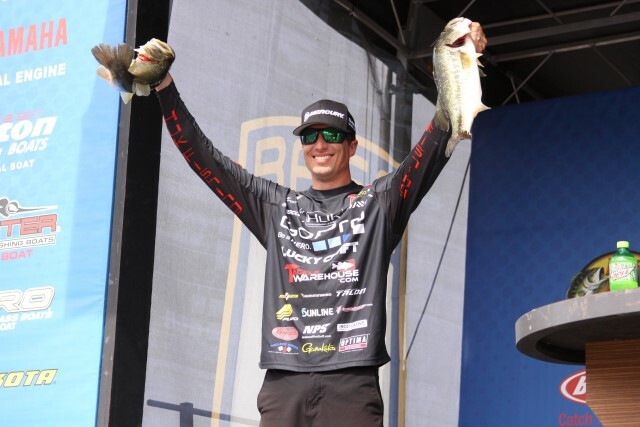 His D Shad is set up with the 7’ medium action Tatula rod and 6.3:1 Tatula Type-HD, but he spools it with 14-pound-test Sunline FC Sniper Fluorocarbon. He rigs the lure on a 4/0 Gamakatsu EWG hook.